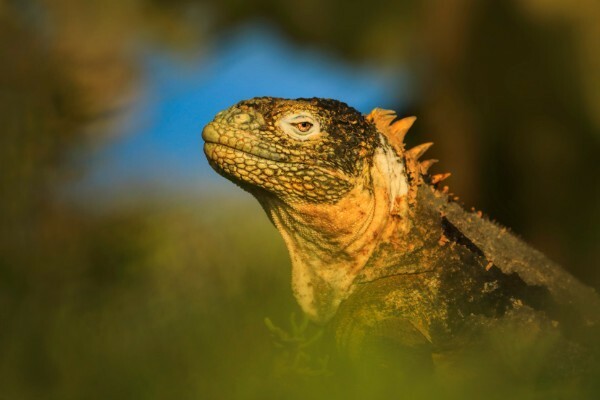 "A very special trip for me in experiencing the elemental beauty of the Galapagos - made particularly so by Andy's passion to get us the best wildlife/photographic locations and sharing his expertise, securing a great itinerary and a top guide." "If you love wildlife, early mornings, action packed days and getting down and dirty with your camera - this is the expedition for you. Andy's eye for opportunities and his skill at extracting the most from a location is second to none. Inspirational..."
"He only employs the best vessel, with a fabulous crew. Your safety is paramount. In addition, the crew looks after your every need whilst on board and whilst transferring to locations by Zodiac..."
"A superb trip - Andy worked tirelessly to ensure everyone went home with great images. 5 star instruction, wildlife, boat and food. Thoroughly recommended!" 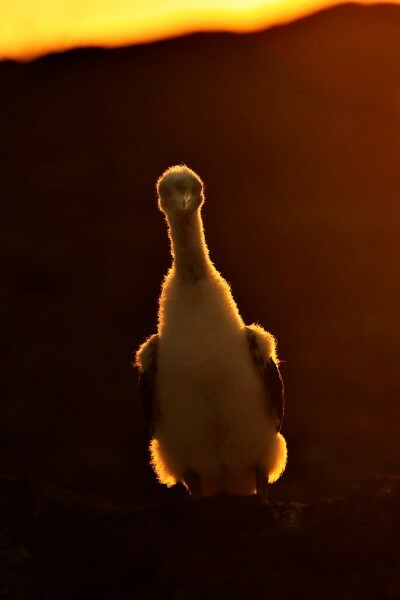 "Anyway, I wanted to give you a huge thank you for the trip to Galapagos and for your help and photographic coaching, since meeting you about 9 years ago my photography has massively improved and this trip was no exception particularly with doing back light." The Galapagos Islands lie 600 miles off of the coast of Ecuador. The catalyst to Darwin’s theories of evolution, they offer a fine variety of wildlife, much of which is seen nowhere else on Earth. This has led to the islands being designated a National Park and also a UNESCO World Heritage Site. This isolation, besides providing suitable conditions for evolution, also means the animals have not become afraid of man. Therefore, you can lie down next to a sea lion, sit down next to the birds or swim with the penguins. Under the waves it's just as good, with some of the best snorkelling sites in the world, no experience required!!! 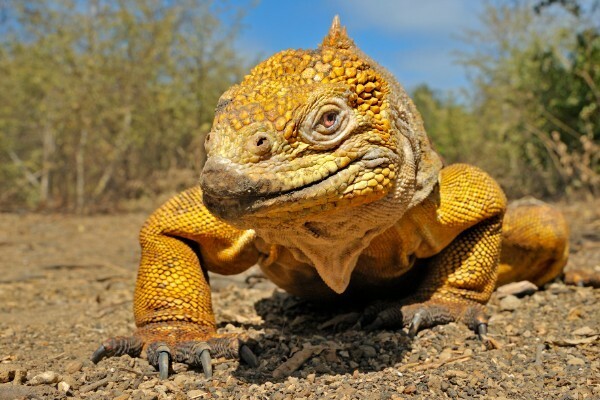 The reptilian population of Galapagos is truly unique and probably provide the visitor with the most memorable encounters. 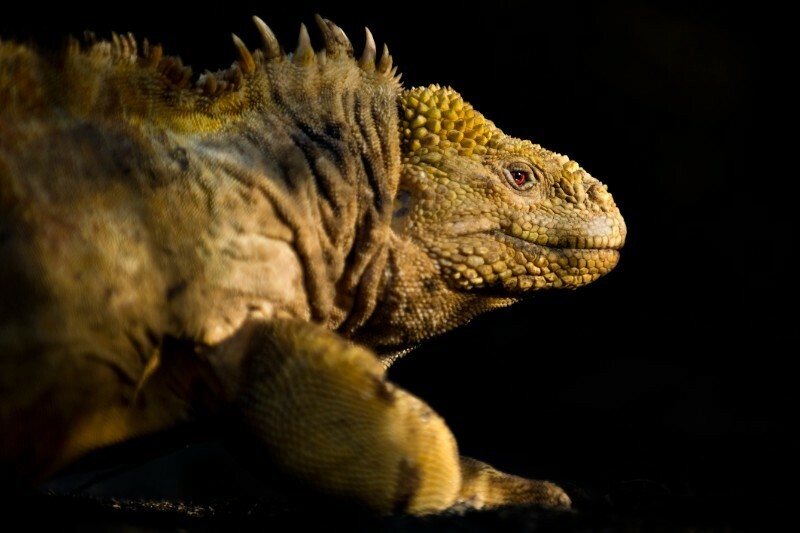 Of these the Marine and Land Iguanas are the undoubted stars as they have a special character all of their own and look like dinosaurs from a forgotten age. Land iguanas can be very elusive so we are going to Urbina Bay which is the easiest place to see the yellow colour variation. 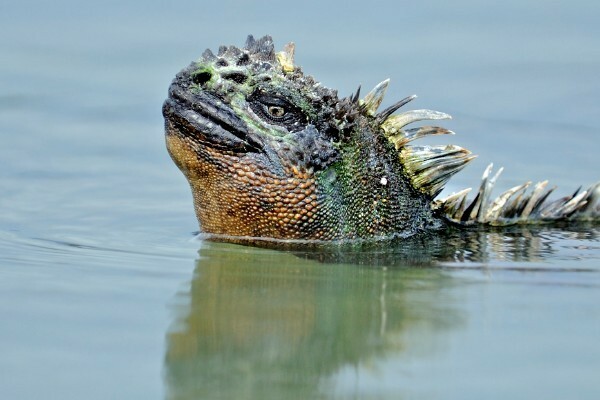 Marine Iguanas are everywhere and again we will visit the no1 spot, both on land in the water. 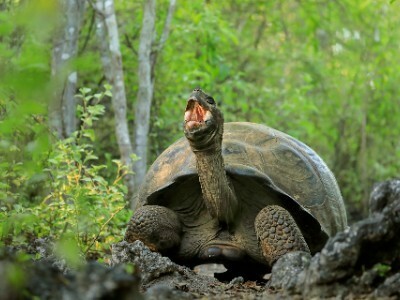 You will get two chances for amazing Giant Tortoises, a special conservation area and a landing site on Isabela; They are great characters, just don’t let one stand on your foot! 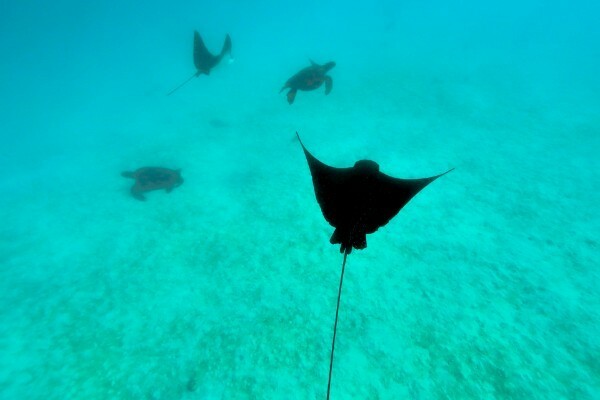 Galapagos offers world class safe snorkelling and we schedule it everyday, sometimes twice per day. 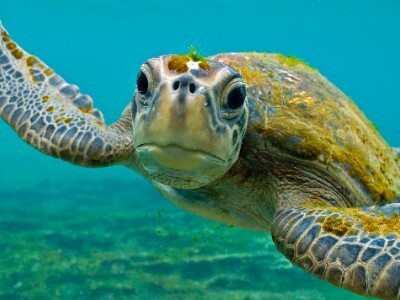 Top of the list are the friendly green turtles, all clients should get spectacular close-up encounters with them. We also had great experiences with playful sea lions, fun penguins and marine iguanas, plus big shoals of colourful fish too. The level of difficulty is varied per day and we will operate two different groups depending on experience. There will be a safety boat present at all times with both groups and all 3 guides will be in the water with you. Basic snorkel kit of mask, snorkel and fins are provided with wet-suits too for buoyancy. You will be fully briefed before the trip on what underwater kit to take. Do not estimate how much you will love crabs after this trip! 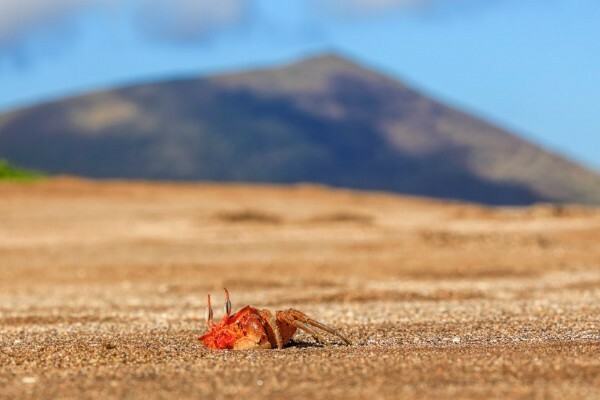 The Galapagos has some wonderful landing sites for crabs, they will challenge your photography but make wonderful subjects none the less. 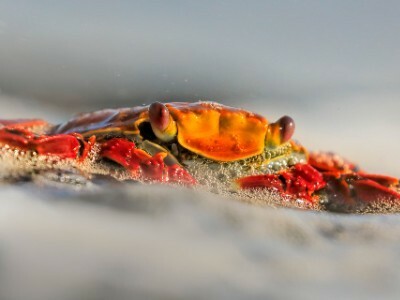 We will be visiting several excellent landing sites where good populations of crabs can be found, including the incredibly colourful Sally Lightfoot and the small yet beautiful Ghost Crab. 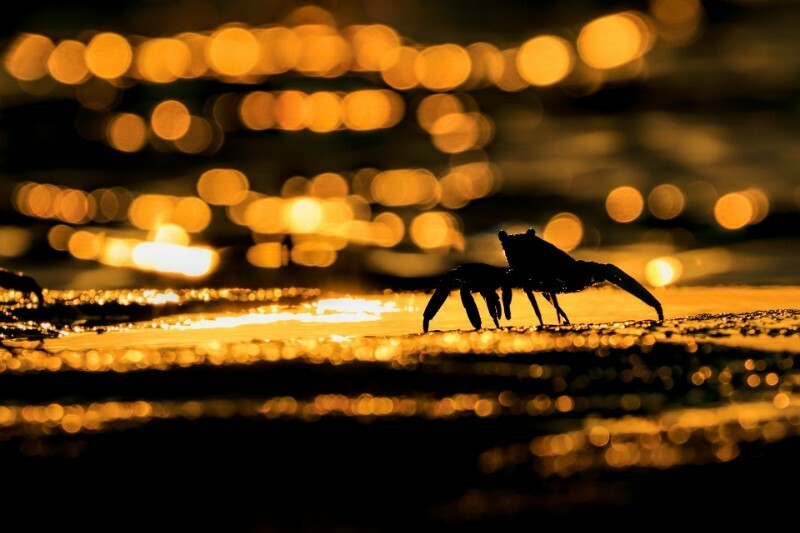 Andy will be giving a special talk on crab photography, all of our last group really loved their crab photography and you will too as they are wonderful to watch. 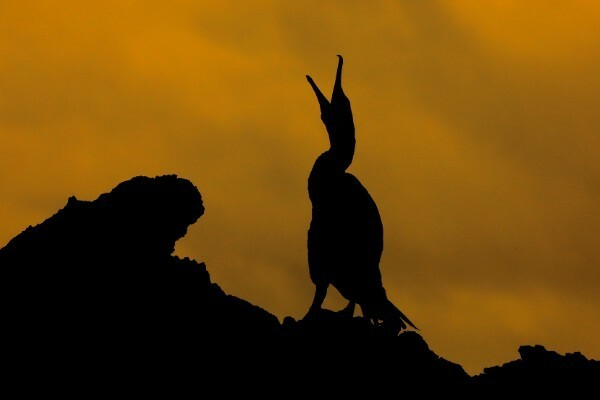 The bird life of Galapagos is simply incredible and half of the resident population is endemic to the islands. 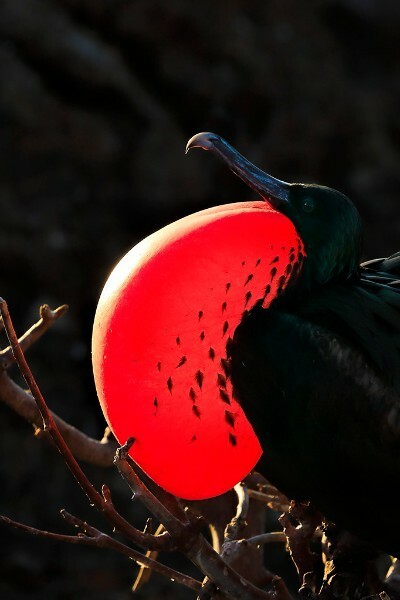 On this cruise we are visiting the two main bird colonies of Galapagos, North Seymour and Genovesa. 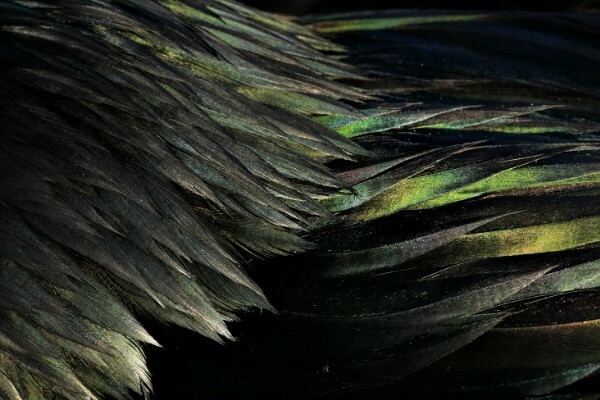 This means you will see the comical blue, red footed and Nasca Boobies, prehistoric looking frigate birds with their huge red pouches, pelicans and all manner of other bird life. Other stars we may see, in and out of the water, are Galapagos Penguins, they are awesome. Whatever bird life we encounter, it will be friendly and approachable, there is no need for stealth here just respect. 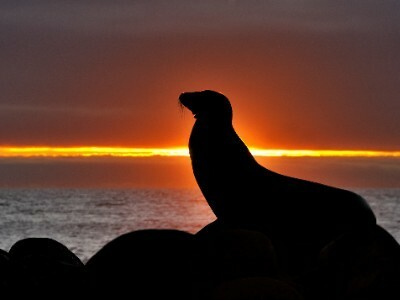 Mammals on Galapagos are limited to the marine kind and by far the most numerous are the noisy Sea lions. 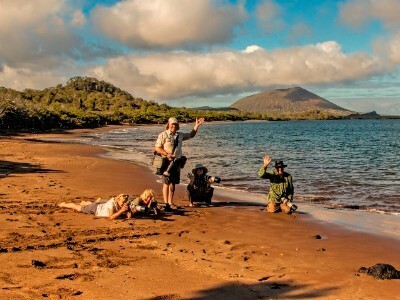 We will be visiting one colony on Galapagos Explorer which is a lovely sandy beach where you can photograph them in and out of the water at sunset. The highlight though will be on on our snorkelling expeditions when they come up and say hi. They are very playful in the water and love any interaction. Common and bottlenose dolphins and potentially whales (sperm, humpback, pilot, orca, sei, minke, blue, Bryde’s and Cuvier’s-beaked) can be seen year round with luck. A previous group saw a group of Orca’s feeding just off shore so you never know! Expeditionary nature - she operates on an expeditionary basis and so affords us the flexibility to be ashore early in the morning and returning just before sunset from the afternoon excursions, thus making best use of the light for photography. They are very accommodating on early breakfasts too! Stability - being a catamaran she is extremely stable if we encounter any rough seas, most of the time she is gliding along. On our last expedition we had no one sea sick at all, despite having two slightly bumpy crossings, which shows her stable nature. Cabins - the cabins are an excellent standard, roomy and clean with ensuite shower and toilet. Each has at least two windows and plenty of storage space. 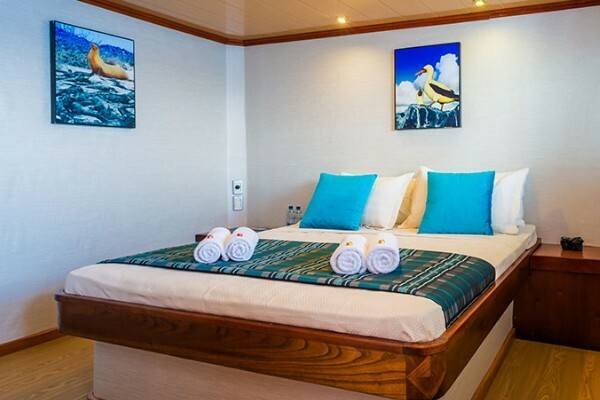 The lower deck has 6 cabins and the upper deck has two cabins, the only real difference between the two is that the upper deck cabins have double beds whilst the lower deck cabins have two twin beds against opposite walls of the cabin. 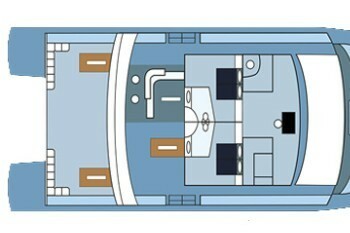 All cabins are air conditioned if required. 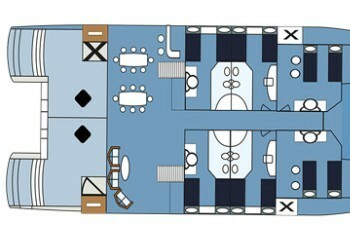 Owing to cabin configuration there are no single cabins available, all prices are therefore quoted on a sharing basis. Food and Service - awesome. End of discussion. All is served buffet style with a choice of salad / soup for starter, main courses, vegetables and potatoes / rice. And of course desert! 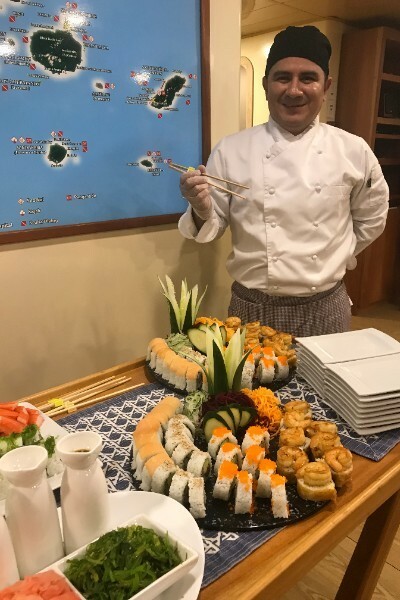 We cater for most dietary requirements if we know in advance, on the last trip we had one vegan and several vegetarians and they were delighted with the food. After snorkelling you will be greeted with hot chocolate or tea, after a landing it will be a selection of fruit juices and snacks. 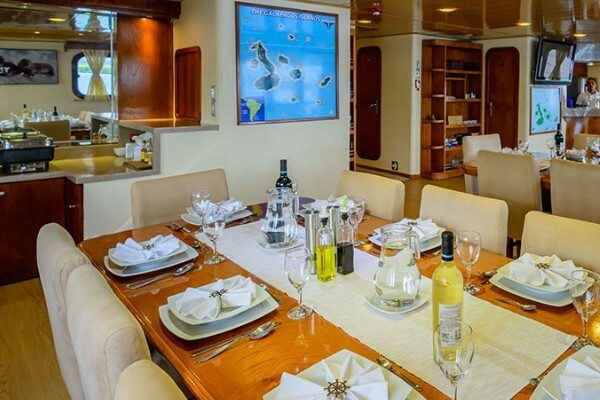 Of course we have a bar on board too that makes a mean Pisco Sour or has a cold beer should the need arise. Everyone is friendly and the service is awesome. Outside Spaces - up top she has a spacious sun deck with loungers both in the sun and the shade, it's a wonderful place to watch the world go by or to see the amazing stars at night. The next deck down has the suites, the bridge and the outside dining area with the chill out sofas. Finally on the main deck are the rest of the cabins, the dining areas and the bar. Safety Focus - the Captain and crew are very safety orientated and a mandatory briefing will be given before departure. At all times during landings we will be very aware of safety and will brief you accordingly. The ship is equipped with state of the art safety and navigation equipment. Speed - her cruising speed is 10 knots, meaning less journey time when we move from location to location. The Sun Deck minus the washing that always hangs here of ours!! The dining room, we will setup as one big table! Themed food nights are a speciality! Our days will start with an early breakfast to allow us to be ready to land as soon as possible. Depending on the activity that we find we will usually spend several hours on shore, photographing what we see; each island is so different in this respect. Then we will head back to the ship and most days it will be snorkelling time for an hour or so. It is then time for a chill-out on the sun deck before lunch, whilst the Captain moves the ship to the next location. There will be perhaps another snorkel following by an afternoon landing / zodiac cruise. Then it's the evening briefing / photography talk by Andy on the next day's activities, dinner then bed! It's a wonderful, relaxing and fun cruise! It's just awesome! 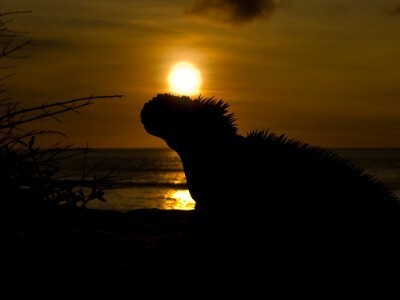 The Galapagos is a very easy place to get good pictures but it can be a challenging place to get great pictures. You will need every bit of Andy’s knowledge to make the most of this trip and he will ensure that everyone gets the help and advice that they need. Andy has used many lenses in the Galapagos but the best are in the range 70-200 / 300 or 100-400 and also a 24-105mm. The key is to travel light. Last trip he used a Canon 5D4 with his 100-400mm and a mirrorless EOS M5 with a wide angle. 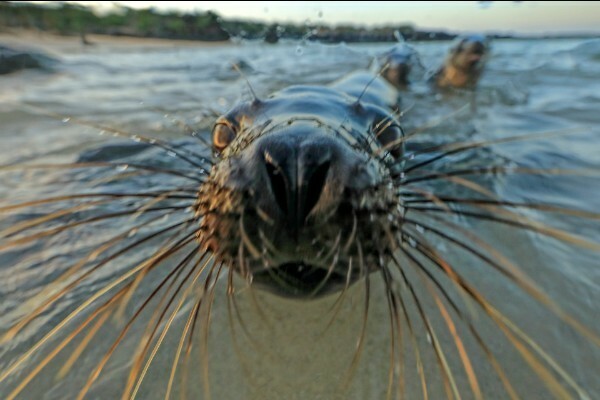 That is the wonderful thing about Galapagos, it encourages you to shoot with a wider-angle view. Andy will provide full details of what equipment you need before the trip. Managing Expectations - a Reality Check! 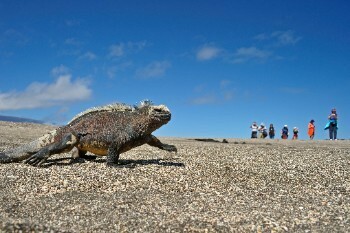 It’s important to manage expectations about any Galapagos cruise. We are at the mercy of the weather, although we are travelling at a very settled time of the year we may encounter some rough conditions. Of course the catamaran design will minimise this but you should be prepared. We may not be able to land at certain sites due to the ocean swell and since all itineraries are fixed we will not be able to use an alternative. Photography on the Galapagos can be very easy but it also can be very tough as all animals are wild and do not perform especially for tourists. 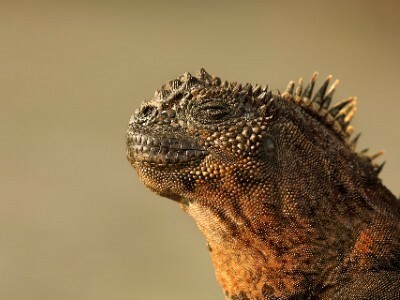 So whilst it’s easy to guarantee seeing Boobies, Sea Lions, Marine Iguanas and Land Iguanas (on some sites) it is impossible to guarantee what they will be doing and if you can photograph them! Of course we will do our best to help you and give you the best chance. The itineraries set by the National Park Authority are general in nature, so the great wildlife landing sites will be interspersed with those of general interest and / or for landscapes. 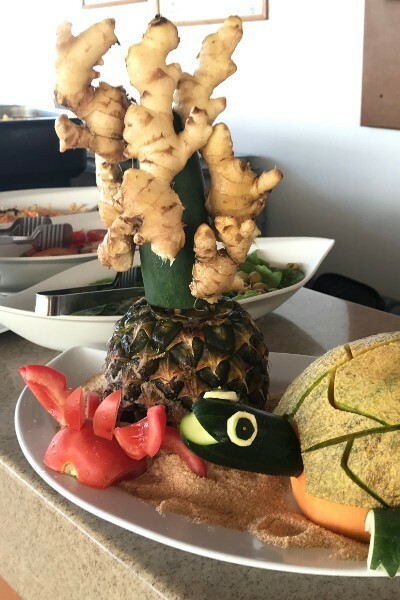 This is just one of the quirks of any Galapagos cruise, and why it doesn’t suit the kind of impatient photographer that just wants to be spoon fed wildlife day after day. You do have to work for great pictures despite what you read elsewhere but one thing is for sure though every Galapagos cruise is fun fun fun! 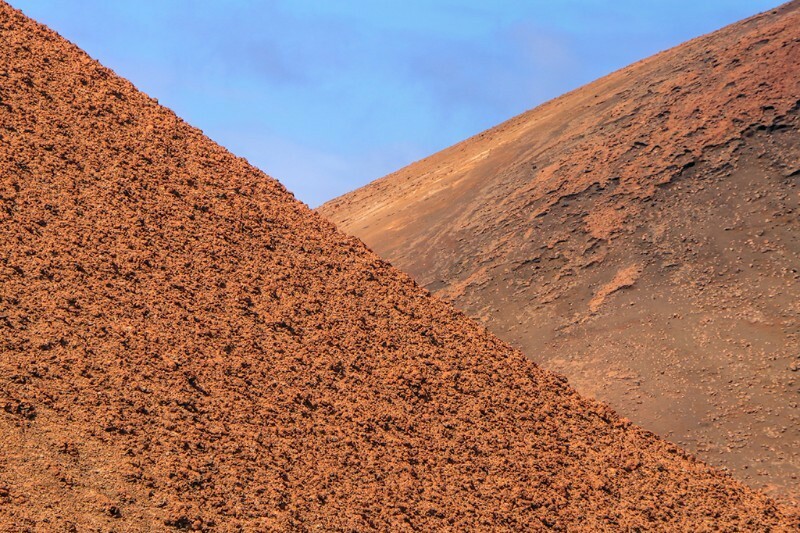 Finally a word on Galapagos National Park restrictions. 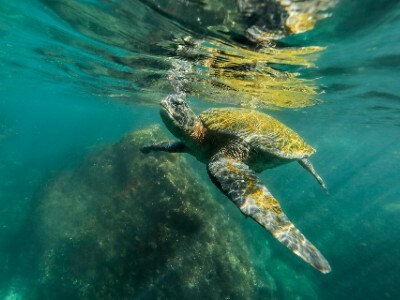 The Galapagos National Park is strictly controlled to conserve the environment for future generations and as responsible tour operators we fully endorse and support this. Access to beaches is unrestricted i.e. provided you respect the wildlife you can walk anywhere but on land you must stick to the paths and will not be permitted to leave them for any reason. 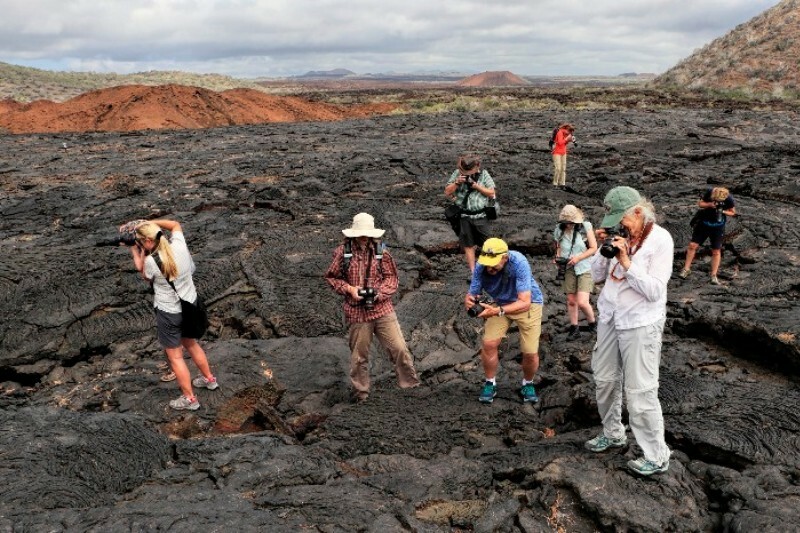 This doesn’t prevent too many challenges to be honest as we will work in groups with our two guides, but you must understand fully that adherence to the rules is not optional and every responsible visitor to the Galapagos must follow them. So in summary you are not free to wander around, you will be split into two groups and will work as a team escorted by one of our very experienced guides. That's the rules!! It's going to rain every single day with grey skies and really choppy seas........nah that's just the UK in Summer! It's going to be, fingers crossed, hot, lovely and sunny! There will be clouds but it will always, hopefully, be a mixture of sunshine and clouds. It's a great time of the year to go. Days reach a pleasant maximum of 25C, with good, prolonged periods of sunshine. Yippee! Oh and the water is quite warm too, although in places cold currents will mean you will be glad of your wetsuits (which are included in the package). Why an Andy Rouse tour? 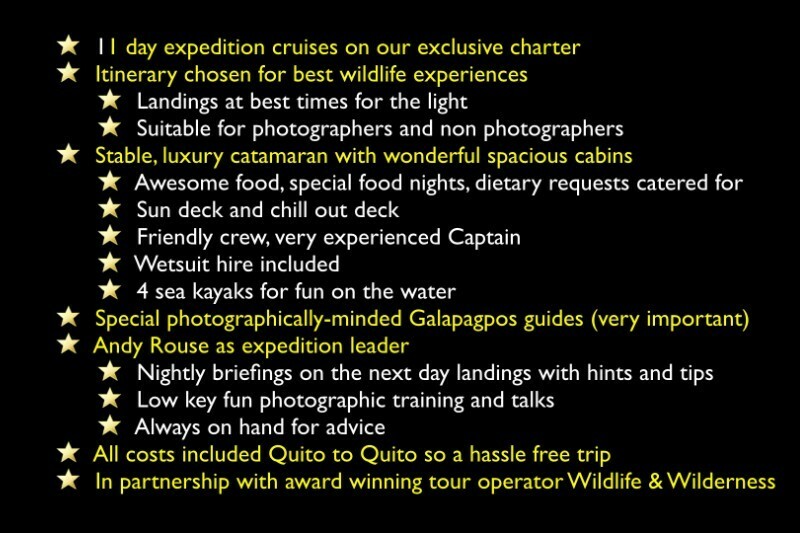 Lots of people run tours to the Galapagos so why should you choose an Andy Rouse tour? Well the simple reason is one of experience. 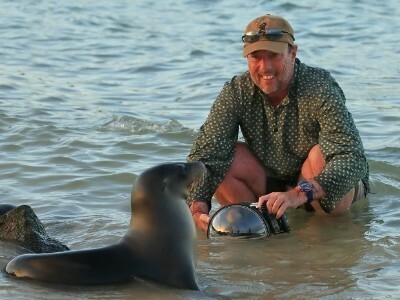 Andy is the Expedition Leader for this trip and knows the Galapagos intimately. He knows all the landing sites you will visit and how to get the best out of them; he will share his knowledge with you all the time and during the evening briefings. He will always have your best interests at heart, and will combine that with the best interests of the wildlife and the islands themselves. You will find that he is an inspirational photographer to be with and is always willing to help and share. Having his favourite guide Pedro along will re-unite a successful and fun team. You do not have to be an adonis but you must be capable of an hour's walk over uneven ground, often in hot conditions and keeping up with the group. Landings may be wet, i.e. you will have to jump out into the water, or they may be onto rocks. As for the snorkelling we split the group into experienced and beginners, so you don't need to be a great swimmer. The wetsuits are very bouyant and we have done this many times before. If you have a serious pre - existing medical condition then you need to think twice about coming as we are operating a remote cruise far from medical attention. Please do not book on this trip without talking to us about this. On board we will have two professional naturalist guides who have been personally chosen and hired by Andy himself. Both have a great interest in photography and unlike a lot of guides there they totally understand photographer's needs and try to accommodate them within the rules of the national park. Andy's head guide is Pedro and he has been his guide ever since his first Galapagos expedition. 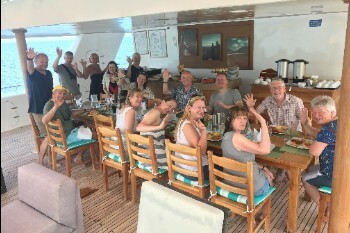 Everyone loves Pedro, he is very relaxed, good fun, an excellent snorkel guide and very knowledgeable about all things Galapagos. He is also a genius guitarist. 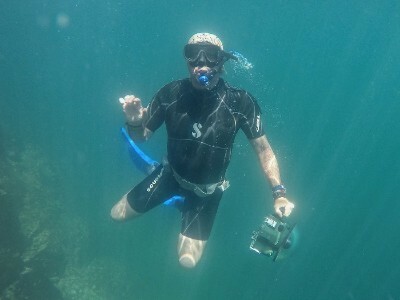 Both guides are excellent snorkellers too, which is great for our expeditions into the water each day. All Andy Rouse trips are a mixture of people from all walks of life, the only requirements are that you are a decent human being and you get on with other people. It's not just about the photography, it's about the experience. I do not want big lens holding tick-list specialists who just treat everything as another social media post (other nicer forms of big lens owners are available). You don't have to be a photographer, we have many who aren't and who love our trips for the freedom and spirit. If you are a single traveller don't worry, we have many who are regulars who you can share with. Fit the bill? Then come along, you will love the relaxed pace of life. Andy is the expedition leader for this trip and with his other hat he is the photographic leader. This means that he will ensure that you are well prepared photographically before the trip, with all the right kit for above and below the water. During the trip he will give a nightly briefing before dinner with hints and tips about the landings the next day, some picture analysis of images that he has taken or perhaps a short talk on techniques like wide angles, composition, birds in flight etc. He will always be on hand to give processing advice too. 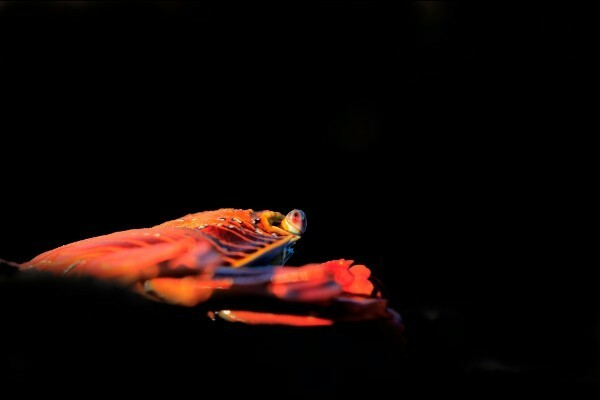 It's a major advantage to have his photographic experience on board. 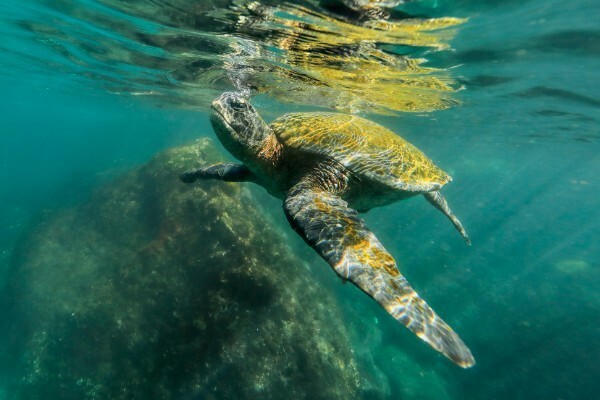 On the travel side experienced tour operator Wildlife & Wilderness will again be taking all the hassle out of travelling to Galapagos. Steve will handle all flights, transfers and everything travel connected with the trip to provide you with a hassle free experience. Wildlife and Wilderness is a member of ATOL, no 6330, and as such your holiday is completely protected. At the moment we have no airline schedules for 2020 so we are assuming KLM and others will have roughly the same itinerary. We have only included the main snorkelling sites, there will be others don’t worry!! As always Andy has been brutally honest about the landing sites, in his opinion this is about as good as you can get so that’s looking good so far! Day 1 (28th May) - Depart London Heathrow for Quito, usually via Amsterdam. Arrive Quito, transfer to Hotel Patio Andaluz to overnight on a bed & breakfast basis for 1 night. The Hotel Patio Andaluz, located in the heart of historic “Quito Antiguo” and is surrounded by churches, museums and national monument. The hotel is an official National Treasure and holds centuries of history within its walls. It was part of the original Solaris (original building sites) that constituted the City of San Francisco de Quito at the time of its foundation. Facilities for the 100 guests in this good boutique, colonial hotel include a restaurant serving Ecuadorian and international cuisine, cava-bar, library, artisan shop, spa and lecture room. Since we will arrive late and leave early you won't see any of this but it's nice to know! Day 2 (29th May) - Depart Quito on the early flight to Baltra in the Galapagos Islands. Exclusive bus transfer into the highlands to Las Primicias, a private farm that is now a Giant Tortoise reserve. Here you can photograph free roaming Giant Tortoises close up and in habitat, it’s a great start to the trip. In the afternoon we board the ship and our adventure begins. We leave harbour around 6pm as we have a long overnight sail. Day 3 - For the morning it's Punta Moreno for a walk around the cactus and lava formations, with the chance of seeing some flamingos at the end. 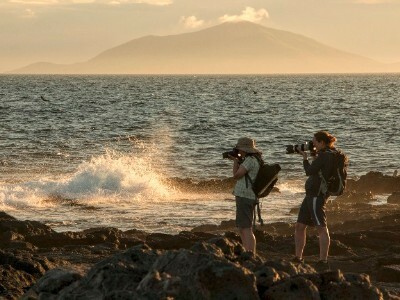 Perfect for landscape photographer types and your first Galapagos experience. We will also take a panga ride around the rocks to see your first marine iguanas. 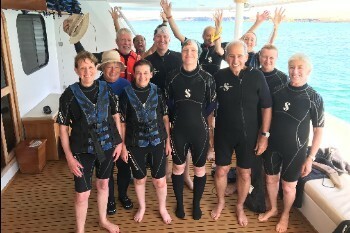 After this our first snorkelling expedition with the chance of swimming with sea lions, turtles, manta rays and perhaps Galapagos Penguins. An afternoon panga (small boat) ride through the mangroves at Mangle Point, Fernandina. 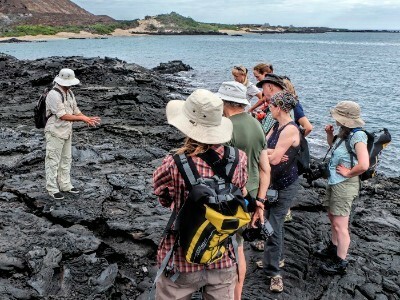 This is a newly opened site and will offer our first chance to see Blue Footed Boobies and Marine Iguanas as they sit on the rocks. It was a great trip last time, we probably photographed the most atmospheric boobies of the trip there. Day 4 - A sunrise landing to land iguana central, Urbina Bay on Isabela. Two trails here lead us around many burrows and it is just a matter of time before we see a big yellow chap walking towards us! 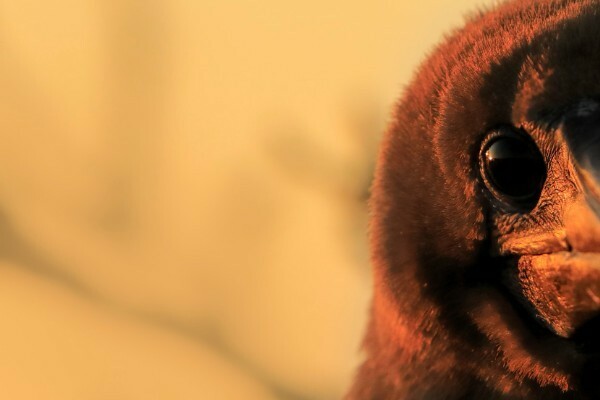 Also good for Darwin's finches too which are endemic to Galapagos. Plus Giant Tortoise and last time we saw 4 of these big guys walking around, for many it eclipsed the land iguanas and we couldn't move anyway! Afternoon spent at Tagus Cove - an amazing snorkelling spot, a wonderfully sheltered and scenic cove that is home to a lot of green turtles. We will follow the lines of the cliff, it is blue water snorkelling i.e. you cannot see the bottom! But last time we had countless turtles and some amazing sea star formations on the cove walls. Even a few sea lions came to say hi, it was a wonderful experience for all. Day 5 - A sunrise landing to Punta Espinoza - Marine iguana heaven, just thousands of them all coiled up, swimming and generally up to no good. Also the best place for flightless cormorants and fur seals in small pools. But it is the marine iguanas that are the stars. We will land here early due to the fact that it is basically an exposed piece of rock that gets very very hot very quickly! Everyone loved this last time as the Iguanas are great characters and make for excellent photography. After returning for breakfast we will then do an awesome snorkel with marine iguanas feeding underwater and plenty of turtles hopefully too. Afternoon it's Punte Vicente Roca for snorkelling amoungst large numbers of Green Turtles, when we landed there were 7 in the water around us. 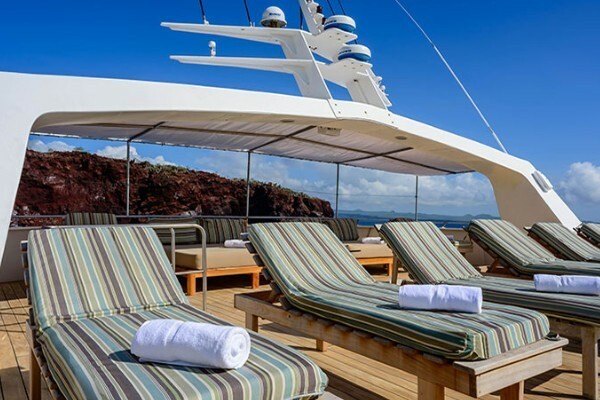 At sunset it's an optional zodiac cruise along the cliffs for basking sea lions and nesting seabirds, or sit on deck with a drink and watch the volcanic landscape around you. Day 6 - A sunrise landing at Playa Espumilla, which is awesome for pictures of Ghost Crabs coming out of their burrows. Choose your backdrop, volcano or sea, it's a great experience and last time we had everyone down laying flat and having a lot of fun. Oh and it's the best place to get diving Boobies, who will crash into the surf just a few feet from you. It's a beautiful beach too if you just fancy a nice walk and a potter! 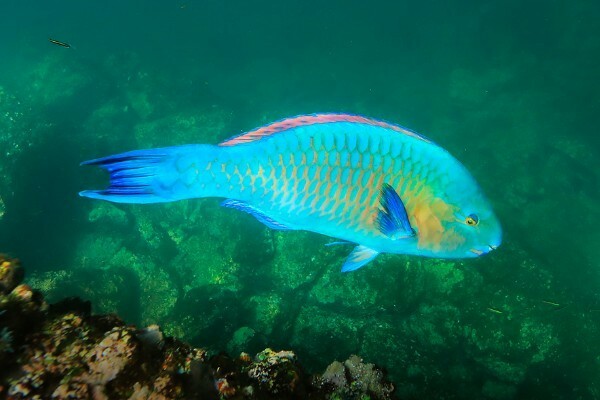 After breakfast we do an epic snorkel with shoals of brightly coloured fish, it's truly magical. Afternoon Puerto Egas - a snorkel amoungst turtles, lots of fish, turtles and possibly Galapagos Sharks is followed by a beach walk with a difference - along a lava field! 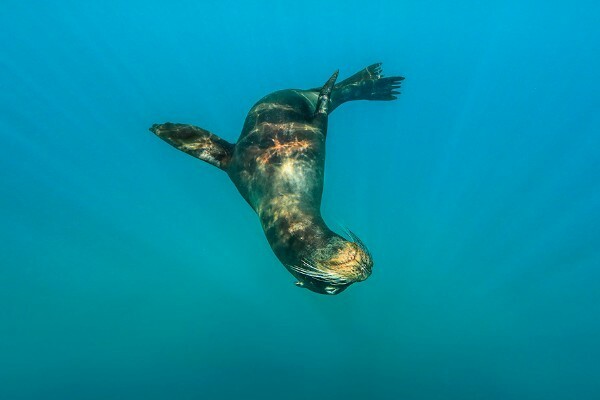 Home to marine iguanas, birds and Galapagos fur seals swimming underneath us in rock grottos. It’s a long walk on flat ground but worth every second and always yields great pictures, last time it gave Andy the best crab picture he has ever taken! Day 7 - Morning at Rabida Island which is famous for it’s maroon coloured sandy beach. It's a short walk to a viewpoint, main attraction are the cactus and the chance to see the Cactus Finch up close and personal. 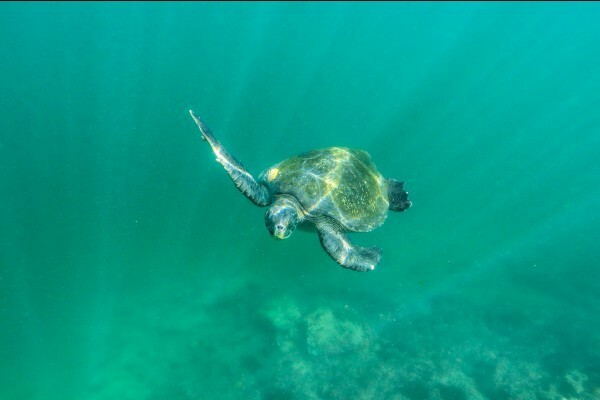 A good snorkel in the current follows to see tropical fish, sea lions and perhaps the occasional turtle. In the afternoon it's a fascinating snorkel along a lava formation, lots of fish, turtles, sea lions, the usual stuff!! Afternoon landing at Chinese Hat for a walk to look at the lava formations and wonder at the marvel of whoever thought of naming it that. It must have been gin related. Day 8 - A sunrise landing at Sullivan Bay, which was the surprise package of the last trip. 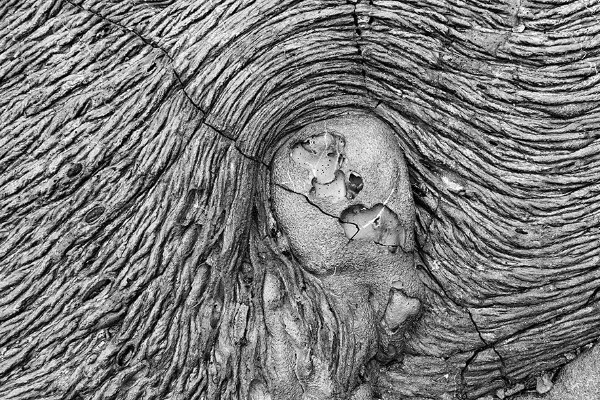 Amazing lava formations that are only 100 years old so very fresh looking and intact. 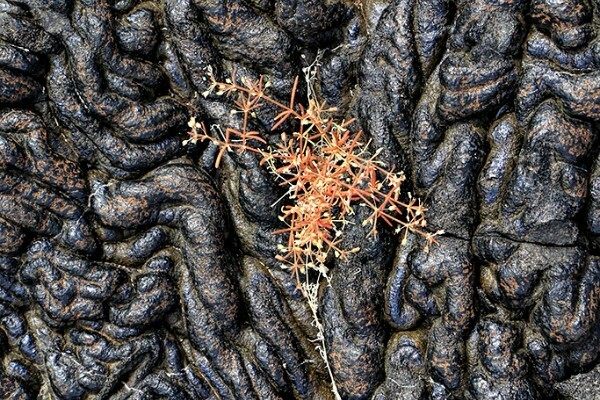 The group loved photographing all the patterns and the tough plants looking at lava formations and ..plants. 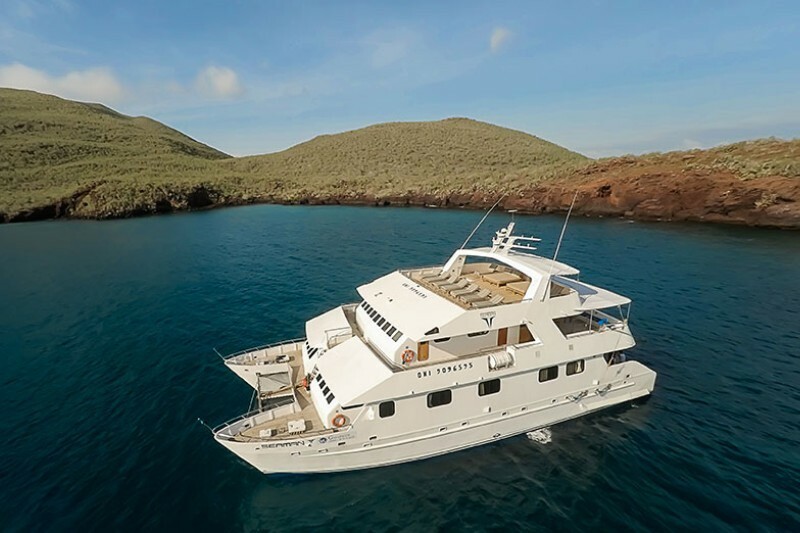 After that the ship moves to Bartolome for awesome snorkelling (shoals of colourful fish) before a hike to the summit to see the stunning viewpoint and volcanic formations. Day 9 - Sunrise landing at Mosquera Islet for a lovely sea lion colony on a sandy beach. Breakfast back on the ship before we move to the superb bird colony of North Seymour. 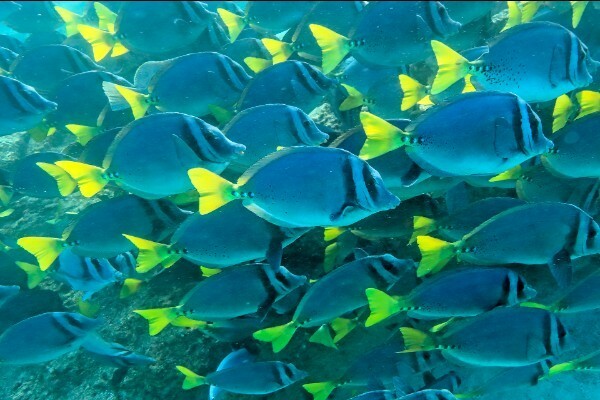 Starting with a lovely snorkel along the cliffs for tropical fish, plus the occasional friendly sea lion, we will then land on this incredible colony. 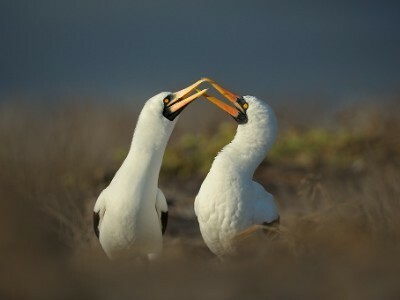 We will feast ourselves on the nesting Magnificent Frigate Birds and Blue Footed Boobies, it's an amazing place to be and guess what, it has land iguanas too!! Day 10 - All day at the wonderful bird colony of Genovesa. We start the morning with a sunrise landing at Darwin Steps to shoot the nesting Magnificent Frigate Birds and Nazca Boobies before a snorkel for tropical fish and sea lions. Then in the afternoon it's a landing on Darwin Beach for the nesting Red Footed Boobies yet more Frigate Birds and all manner of other birdlife. Day 11 - A sunrise landing at Plaza Sur for the Land Iguanas that come out and sun themselves amoungst the prickly pear cactus. After that a short session photographing gulls and pelicans in flight before heading off to Santa Fe. 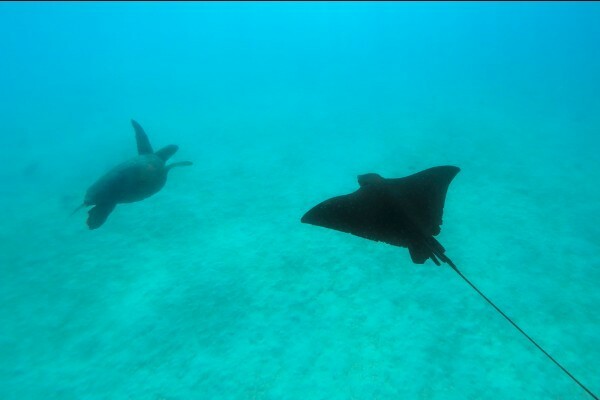 There it's a nice snorkel for friendly sea lion pups, plus the chance of eagle rays and a lotta turtles. It's a lovely place to sea kayak too. 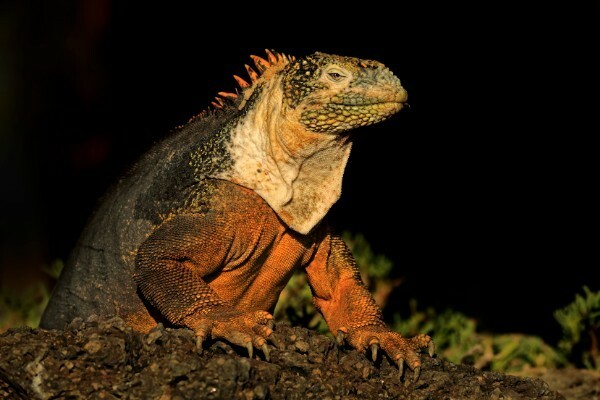 Then it's a landing to see the green form or land iguanas before spending the last hour of light on a sea lion beach. Day 12 (June 8th) - An early morning departure from the ship, straight to the airport to connect with the early flight to Guayaquil. We will then have a long transfer there until we connect with the KLM flight home. Day 13 (June 9th) - Arrive back in the UK via Amsterdam. The price below is a competitive price for the level of ship and itinerary. There are cheaper options of course, in terms of ship and length of trip, but we feel that the combination of the ship, itinerary and all the inclusions makes this a very fair price to charge. 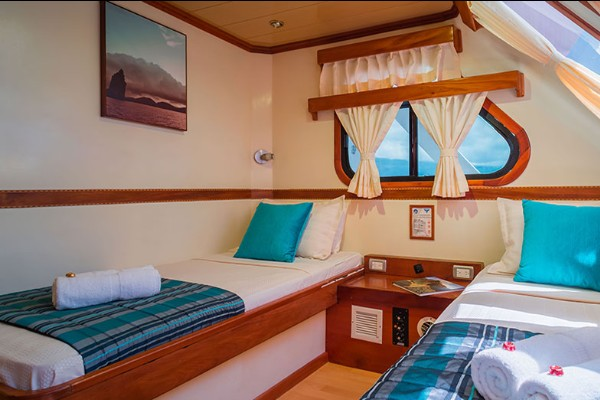 Your Galapagos cruise on a full board basis, services of our English speaking guides, your return international airfare from London to the Galapagos in economy class (upgrades available), accommodation on a B&B basis in Quito, your Ingala card and Galapagos National Park fees. A visa if required, travel insurance, meals in Quito other than breakfast, items of personal expenditure, any additional excursions, tips (estimated £250 for the trip), your bar bill on the ship, changes in airfare, statutory increases beyond our control. The best international flight that connects into Quito is via Amsterdam on KLM, this is a good connection on the return journey too as it saves us another night in Quito. Our package above includes the return air fare from London to Quito via Amsterdam in economy class. If you are travelling from elsewhere or would like to upgrade to business class (since it's a 13 hour flight) then please let us know and we can arrange it. Certainly in the UK KLM has excellent regional connections. The deposit that we require for the trip is £2000 per person. Once booked however please note that this deposit is totally non-refundable under any circumstances. Therefore we advise you to take out adequate insurance to cover it should something unforeseen happen. Please see our terms and conditions for the trip. The balance will then be payable 90 days before the trip. Everyone has their terms and conditions, here are ours. This is an abbreviated set, a comprehensive set will be sent out on booking by Wildlife & Wilderness Ltd. Your deposit of £2000 deposit is totally non-refundable under any circumstances. 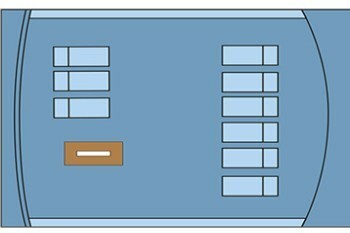 Similarly once you have paid your final balance the total amount is non-refundable . By paying your deposit you agree to these conditions. In any dispute the decision of Andy Rouse Wildlife Photography Ltd and Wildlife & Wilderness will be final and no discussion will be entered into. Prices are quoted on current rates from our ground agents and we reserve the right to apply a surcharge should an unexpected local rate increase occur including statutory increases beyond our control. We will of course try to avoid this at all costs. By committing to the trip and paying the deposit you agree to this surcharge if it is necessary, if you decide not to pay it and pull out then you will not be entitled to any refund. All materials and photographs within this brochure are the copyright of Andy Rouse Wildlife Photography Ltd and this may not be printed or distributed in anyway without prior written consent from Andy Rouse or his representatives. In order to cover yourself for an unfortunate change of personal circumstance or an unforeseen medical condition we strongly suggest that you take out sufficient travel insurance to cover this eventuality. In our experience this is vital. 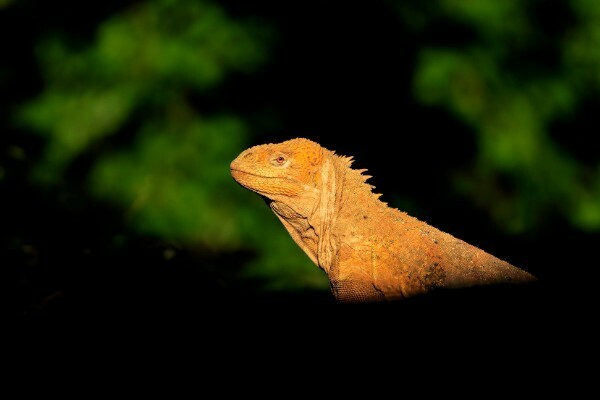 The Galapagos is a wilderness area and changes to itinerary may be necessary due to weather or unforeseen conditions. At all times Andy Rouse and your crew will have your safety as their main concern and will make alternative arrangements should the need arise. You are responsible for your own personal medication and it is essential that you bring extra supplies with you. If you have a condition that may require medical intervention then this trip is not one for you as we are a long way from any kind of medical facility. A full set of terms and conditions will be sent out on booking.